Meeting on St. Croix Thursday, the governing board of the Virgin Islands Water and Power Authority (WAPA) approved several items concerning the introduction of new generating units at the Randolph Harley Power Plant. The board also approved measures relative to the ongoing permanent repairs to the electrical distribution system. 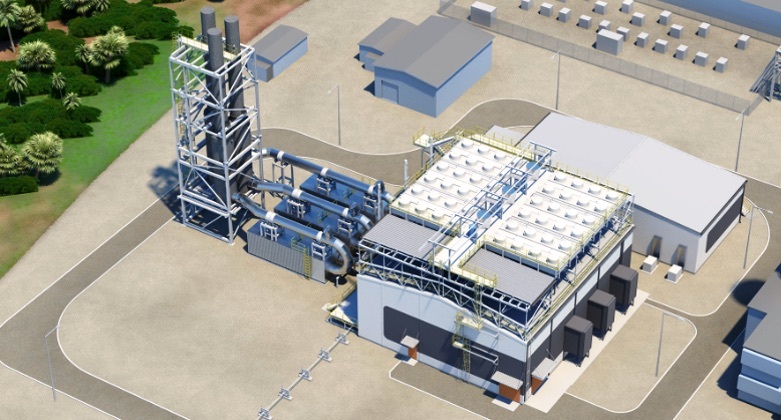 Approval was given to several change orders to WAPA’s contract with Wartsila North America for the installation of 21 megawatts of new generation capacity at the Harley Power Plant. The change orders increase budget costs to incorporate additional piling, additional engineering services, and fire water system costs. · The purchase of standalone and three-phase composite poles from Trident Industries to complete ongoing federally-funded hazard mitigation projects in the territory. The purchase cost is estimated at $7.3 million. · A contract time extension for Southern Air Solutions to complete stack testing on several of the existing generating units. The contract extension is through March 31, 2019. Stack testing is mandated to comply with local and federal operating permits and allows WAPA to comply with U.S. Environmental Protection Agency standards and protocols. Stack testing is the final requirement for the St. Croix Consent Decree after which WAPA can request that the Estate Richmond Power Plant on be removed from the Air Consent Order. · A contract with Black and Veatch for engineering studies which will provide WAPA a road map for implementation of system-wide improvements targeted at increasing reliability and efficiency while minimizing costs. The contract cost totals $484,300 and is funded by a U.S. Department of Interior grant. · An amendment to an existing contract with FX Bonnes for engineering services associated with the restoration of the hurricane-damaged East End Substation. The cost increase of $24,000 is to redesign the reconstruction of the substation and provide enhancements for other power systems and substations. The overall project is qualified for federal funding. · A contract extension with Sustainable Capital Advisors, LLC to November 30, 2019. The firm provides the Authority with municipal advisory services and advice on the overall development of capital planning, budgeting and potential financial plans. In his monthly report, Executive Director Lawrence J. Kupfer advised the board that electrical generation decreased in November and water inventories on St. Croix increased, helping to reduce water supply issues to the west end of the island including Frederiksted town. Board members in attendance included Chairperson Elizabeth Armstrong, Vice Chairman Hubert Turnbull, Secretary Juanita Young, Gerald T. Groner Esq., Noel Loftus and Cheryl Boynes-Jackson. Commissioners Devin Carrington and Nelson Petty Jr. were excused, as was Director Marvin Pickering.